Efficient. Robust. Reliable. Safe. Affordable. Easy in, easy out, fast impingement cleaning! Unlimited Portable Hot Water Anywhere! Water-saving. Energy Efficient. Temperature Control. 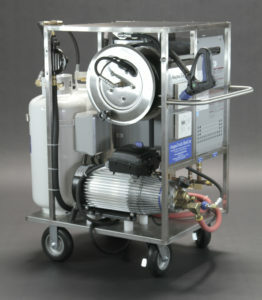 A vital part of your sanitation and sterilization management process. 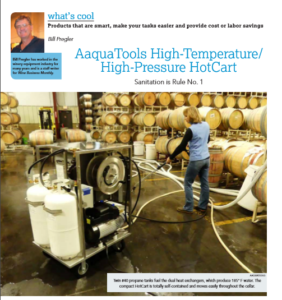 AaquaTools has quickly grown over the years to be wine and food processing industries largest single supplier of high impingement cleaning equipment. AaquaTools is the leading designer and manufacturer of high quality high impingement water-driven maintenance equipment. Imagine never having to towel dry a wet surface again to prevent water spots. That’s the result when you utilize AaquaTools spot-free rinse equipment in your dealership, hangar or home garage.